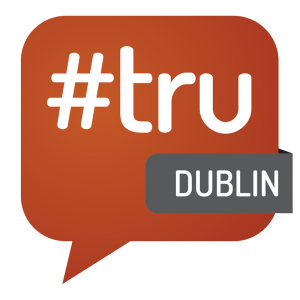 #truDublin is back on 28th of January 2016 (9AM to 6PM)! This time #tru is at the Vaults in Dogpatch Labs, inside the historic Chq building! #truDublin is an event for everyone involved in recruitment to learn and share ideas on the cutting edge, practical ideas, ideas solving problems and ideas on how to recruit better. It is an opportunity to meet other professionals from HR, recruiting, talent acquisition, job boards, developers, hiring managers, recruitment thought leaders and anyone with ideas to share about our industry. We look forward to seeing you in Dublin for this #tru event! If you would like to support the event, please donate what you think it is worth to you. You will be listed on the website and sponsor board. Email us at hello@irishrecruiter.com and tell us what else you want, we will be glad to accommodate you (no pitching or booths, stay #tru!). Find out more about #truDublin 2015 to see if this is the event for you!